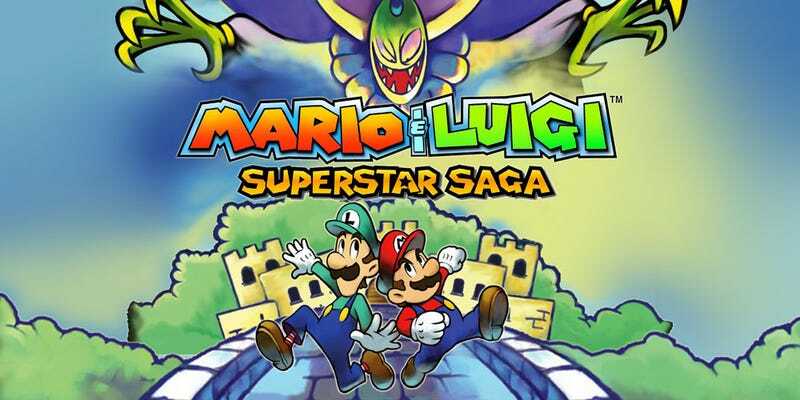 Last week, a dataminer who goes by the handle SciresM reported that he’d discovered an apparent port or remake of the GBA game Mario & Luigi: Superstar Saga in a 3DS file database. Although we can’t confirm this rumor, we did discover a new bit of evidence this week that makes it seem very likely. Ever Oasis, announced last year for the 3DS, is coming out next month, but as far as I can tell, that icon hadn’t appeared anywhere before SciresM tweeted it. So logic would follow that if the Ever Oasis icon is real, Mario & Luigi: Superstar Saga DX is, too. At an event in New York City earlier this week, Nintendo showcased a demo version of Ever Oasis (check out our video hands-on of one of the quests), so I opened up the home screen and checked out the icon. Sure enough, it’s the same one SciresM tweeted. Nintendo did not respond to a request for comment yesterday. Mario & Luigi: Superstar Saga, released in 2003 for the Game Boy Advance, is the first game in the RPG franchise and is generally considered to be pretty great, so a 3DS port or remake would be welcome, if this is true. Although we can only hope it’s coming to Switch, too.